I’m a big fan of Whole Foods. Yes, it’s a bit more expensive than other grocery stores, but I feel that the extra buck or two is worth it — especially for the meat and seafood quality (besides, where else will I get my soy sour cream?). Idealistically, I’d love to get seafood from a farmer’s market, but sometimes the farmer’s market isn’t always available. Well, until the Xel’Naga stop by and hand us some fancy technology, we’re going to have to make do with going to the store to get our salmon. 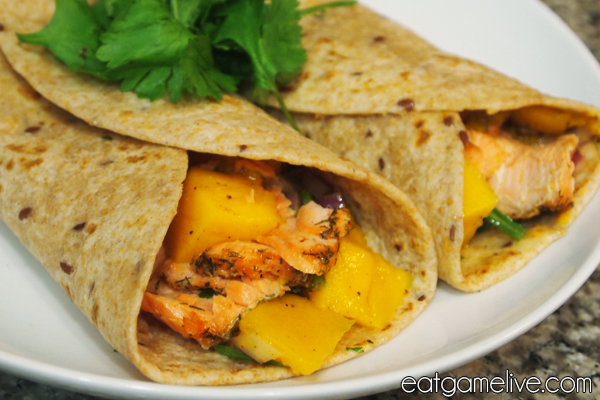 And you can manually warp in this salmon dish directly to your face with these handy-dandy Warp Prism tortillas. 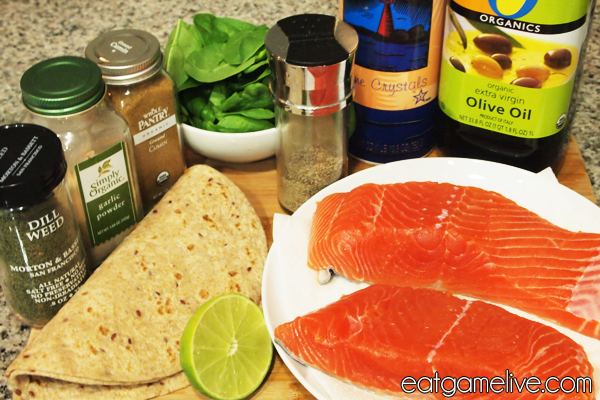 Get your dose of Omega-3s with this simple salmon dish! 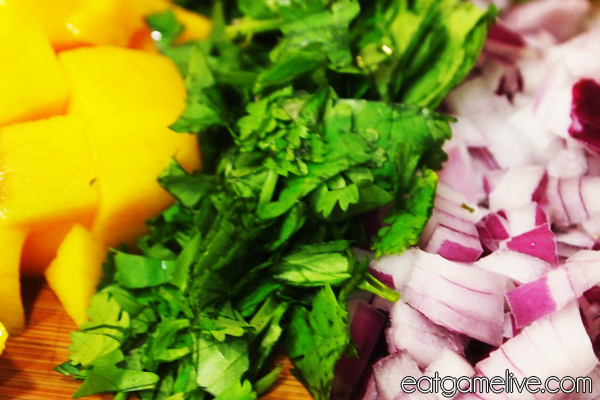 Dice your cilantro, onion and mango. Combine the ingredients — add additional salt and pepper to taste. Set a skillet on high heat. Place a teaspoon of olive oil in the skillet. 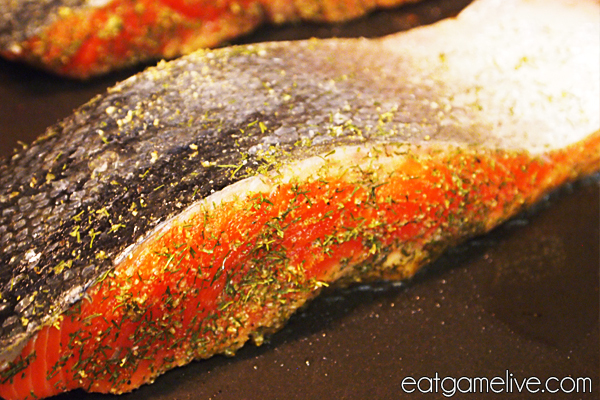 Season the salmon with salt, pepper, dill, garlic powder, and cumin. When the oil hot (just before it begins to smoke), place the salmon in the pan. Reduce heat to medium after allowing the salmon to sear. Cook the salmon about 5-7 minutes on each side. Remove salmon and let cool for 1 minute. Warm tortillas by wrapping them in a damp paper towel and microwaving for about 10 seconds. Place spinach on the tortilla. Flake pieces of the salmon and place them on top of the spinach. Spoon mango salsa in the tortilla and wrap. And that’s all you need for this simple and healthy dish. GG WP. 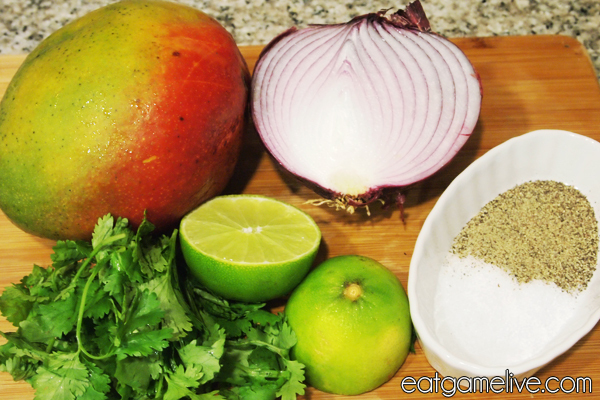 This entry was posted in starcraft and tagged mango, protoss, salmon, salsa, taco by admin. Bookmark the permalink. My weekend mission is to make this, but to add some shrimp in addition to salmon. I just found a recipe for shrimp tacos, and I had this open so I figured, why not combine the two?